From last year, here's the Lumineers covering This Must Be The Place (Naive Melody), which might be one of the sweetest Talking Head song ever. The Lumineers lose the groove and strip the song bare; this version was recorded live for a radio feature called Like a Version (ho ho) on the Australian network Triple J. I have to say: I love how they reinvented the song. A live bit of Talking Heads from 1978, when they were still uber-nerds. In September, Martha and I had the good fortune to be able to see David Byrne play live in Toronto, as part of a tour with Annie Clark of St. Vincent ... and an eight-piece brass section that blew us away. Most of the songs were new, from the Byrne-St. Vincent album Love This Giant, but Byrne dusted off a few Talking Heads songs, including This Must Be The Place, Road to Nowhere and Burning Down the House. This fan-shot video, from a performance in Minneapolis last month, shows what the touring band was like. Quite the show. We were in the car the other day when Nick asked what was playing. "Talking Heads," I said. "Burning Down the House." I figured he had absorbed it by now, but evidently not. Talking Heads were probably my favourite band in high school, through university and beyond; I think I played Speaking in Tongues nonstop during the summer of '83. I always got a kick out of the video, too, which was goofy and also prepared to challenge: the last shot, featured an image of David Byrne's head projected on to a roadway, runs for more than a minute. In any event, as part of my parental obligation to make sure the kid knows his basics, Burning Down The House is the song of the day. "The better the singer's voice is, the harder it is to believe what they're saying." Clever. Spotted here this weekend. Talking Heads, from a 1978 appearance on U.K. television. One of the ongoing debates in our house is about bike storage. Three people, three bikes ... they take up space, and while there are lots of options about storage, we can't seem to figure out how best and efficiently to handle our gear. I have an eye out, then, for things like bike racks, and I was intrigued to find that David Byrne, the former frontman of Talking Heads, has an entire side career built around making unusual, even artful bike stands. The artful part, of course, is not that big a surprise, as Byrne (like the other Heads) was an art student, and his design skills have reached into every corner of what he's done. Not just a favourite song, but an important one. I remember being in high school and playing it over and over on the turntable in my room; I remember knowing I'd get along really well with a friend when I start her start swaying instinctively when she heard it start; I also remember seeing a dancefloor fill instantly. Talking Heads' Once in a Lifetime was released in 1980 and was years ahead of its time, in so many ways: complex, overlaid rhythms; a sonic style that is still in a league of its own; two lyrical streams that are mundane and absurd and even spiritual, all at once. David Byrne sings in persona, and created one of them for the video ... which was also well ahead of where the music industry was going. There are lots and lots of songs about the radio; so many, I had no trouble finding a list from what's on my hard drive. I usually put up a list of five; unable to make clean choices, I this week picked 10. 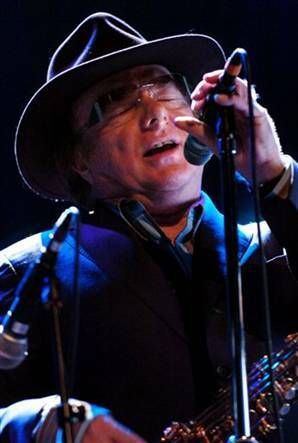 Van Morrison: Caravan. You could make a list alone around Van Morrison songs about radio; an alternate is the Enlightenment track In the Days Before Rock and Roll, one of several about his adolescent obsession with tuning in U.S. R&B ("Fats did not come in/ Without those wireless knobs"). Caravan is about the joy that comes with letting the radio set the scene for a party. Reunion: Life Is A Rock (But The Radio Rolled Me). A chestnut from the AM era ... about AM-era chestnuts. The lyrics are one namecheck after another, sung at a frenetic pace: "B.B. Bumble and the Stingers, Mott the Hoople, Ray Charles Singers..." One of my friends at school could actually rattle off these words, even though I'm pretty sure none of us knew much about the names in the song. Talking Heads: Radio Head. A track from True Stories that may be best known for giving Radiohead its name ... even though the Texan accordion swing sounds nothing like Radiohead at all. And it's fun. Wilco: Radio Cure. I love the sombre tone of this song, which seems to be about the healing power of radio, even though it is so downbeat. 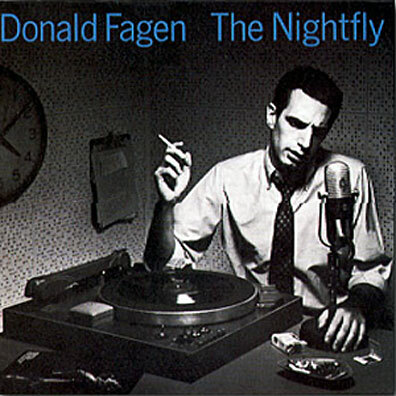 Donald Fagen: The Nightfly. With Steely Dan, Fagen made FM, which gave the concept of grapefruit wine to the masses. But I like this song, and the fantasy of late-late-night radio that filled Fagen's imagination in the early 1960s. Everclear: A.M. Radio. I'm not an Everclear fan, but I got a kick out of A.M. Radio, and its attempts to explain things like transistor radios to kids brought up on CDs (which, ironically, are now themselves old-fashioned of kids today). The Modern Lovers: Roadrunner. Jonathan Richman's breakthrough song is one of the great driving songs of them all, but it's also all about the radio. "Radio on," to be precise. Chant it now. Rush: The Spirit of Radio. On a positive note, a rare love song from a band that is happy to say what fans they were of a radio station, in this case the still-loved CFNY in Toronto. As I type this, it's too wet to seriously think about doing anything in the garden today ... at least without getting drenched. Blech. All the same, I put together a list of tunes that brings gardens to mind. 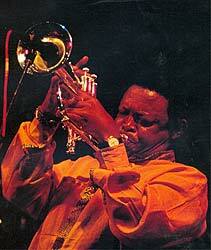 Hugh Masekela: Grazing In The Grass. One of my favourite summer tunes; one made for mixing gin and tonic together, too. (And ... cowbell!) I played trumpet for a while when I was a kid, and whenever I hear Hugh Masekela, I rap my own knuckles for quitting way too soon. Talking Heads: (Nothing But) Flowers. After almost 20 years, this song still sounds fresh, with a great blend of guitars via Johnny Marr and Yves N'Djock. With Live Earth on today, it also an environmental theme ... although I side with those who see the song as a satirical poke about what would happen if the reclaim-the-land movement actually succeeded. Van Morrison: In The Garden/You Send Me/Allegheny. From the live album A Night in San Francisco, a great medley bringing out the best of In The Garden, one of Morrison's best songs about graveyards and that whole circle-of-life thing. He's with a peerless band, with Georgie Fame on organ, Brian Kennedy singing, Candy Dulfer on sax and Kate St. John on oboe, etc., all playing softly and then like a ragin' storm. No wonder the tune - it runs almost 10 minutes - closed out each night on that tour. Rickie Lee Jones: Gethsemane. From her new(ish) record, The Sermon on Exposition Boulevard, which opens up plenty of religious interpretation. The Beatles: Octopus's Garden. How could not include a song I've been singing along to for four decades? I put together a list of five songs every Saturday; click on the link below to see what else I've picked out.